.. with a truly unforgettable evening by the sea. 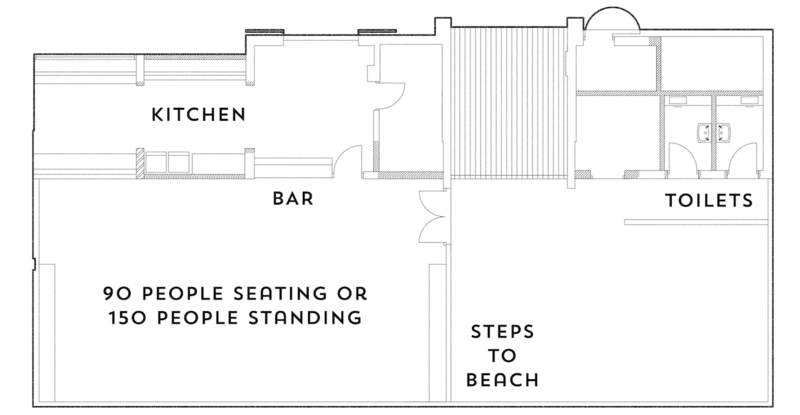 Situated on the water’s edge, Southsea Beach Cafe is quite possibly Portsmouth’s most unique and stylish venue. Enjoy the relaxed atmosphere, delicious food, fabulous drink and unadulterated views over the Solent. Our menus are inspired by local fishing boats bringing us their daily catch, the best cuts of meat from Paul a local Portsmouth butcher and of course our culinary ninjas who turn all this beautiful produce into truly mouth watering dishes. Worried about the weather? Don’t panic, we’ve got you covered (or uncovered if the sun is shining!). 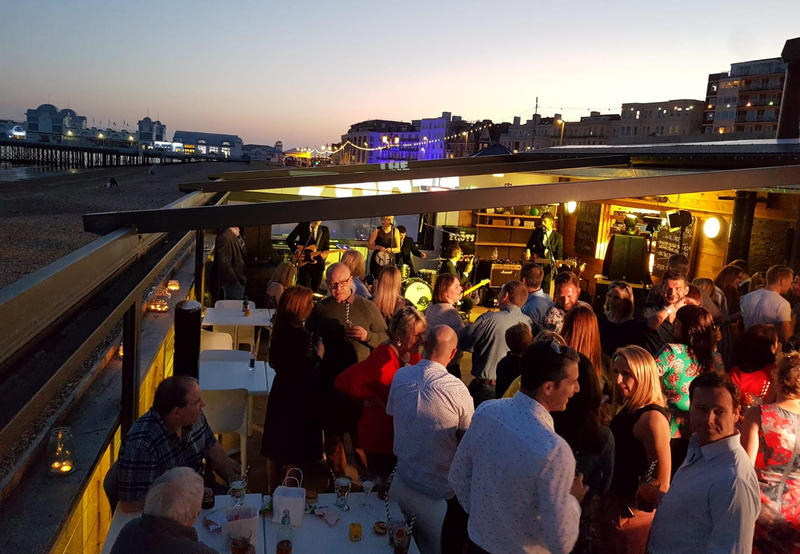 Our fully retractable roof means you can soak up the sun and enjoy the sounds of the gulls during the summer months but for those nippier evenings we will secure the roof, fire up the log burners and dim the lights to ensure a warm and cosy evening to remember. Our sleek, glass fronted venue with panoramic sea side views is able to cater for parties of anywhere between 30 and 150 people which makes us the perfect choice for wedding receptions, corporate events, birthday parties, family get togethers, live music events and everything in between. What ever you are looking for we can assist in creating a truly memorable evening and offer anything from seaside inspired canapes with a DJ, to a wine paired 5 course meal accompanied by live jazz – the choice is yours!